While doing so, Kapil Sibal made the documents of the Supreme Court public and asked Prime Minister Narendra Modi if he thought the chief justice of India was wrong. 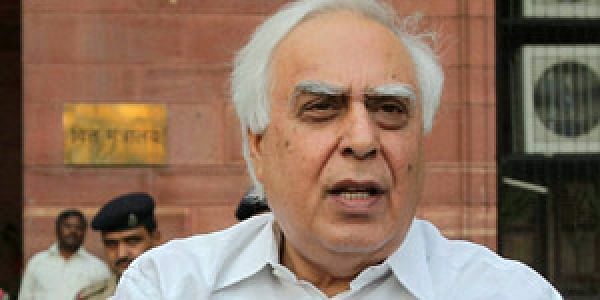 NEW DELHI: Congress leader and senior advocate Kapil Sibal on Thursday clarified he was appearing for petitioner Mohammed Hashmi's son Iqbal Hashmi in the Ayodhya dispute case and not for the Sunni Waqf Board in the Supreme Court. “I was appearing for petitioner Mohd Hashmi's son Iqbal Hashmi, which is clearly stated in the order by the CJI. Does PM think CJI order was wrong?” Sibal told the reporters. “Where it will built, where not all this thing is upto Lord Rama. Prime Minister Narendra Modi is not going to build it. This is not a national agenda as to which court I am going to appear. This is not a national issue,” he said.